Gating, web forms, and landing pages for lead generation and user registration no longer require costly web development, thanks to ONEcount’s powerful new landing page builder. The new tool, code-named Merlot, drastically simplifies offer building by combining a powerful, drag-and-drop WYSIWYG page builder with the ONEcount question and product building tools. The intuitive interface was designed to make it easy for marketers and editors to create custom forms and landing pages from scratch or, a template can be imported based on the website’s exisiting look and feel. No coding experience is required. A user simply selects which questions or fields to add and then chooses which products, subscriptions or packages will be available on the form. There’s also an advanced WYSIWYG editor that allows any user to design a form’s layout, add content and arrange the display of questions and products. 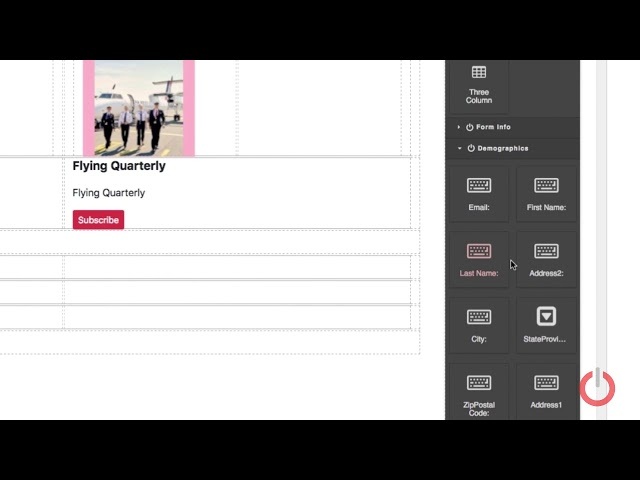 Forms created with the new form builder are also responsive. The appearance of form pages can be edited or previewed on different device sizes, like mobile or tablet devices. ONEcount’s ability to bi-directionally sync with any database allows for user profile information to pre-populate fields. Auto-completing forms with a user’s profile information reduces friction and form abandonment. This functionality increases conversion rates and revenues for any organization. The new interface empowers marketers to create and design forms faster, and also enhances existing technologies of its predecessor. “For the past few years, landing page optimization has been the focus of conversion strategies. The new interface gives marketers the advantage to make changes on the fly during campaigns as needed.” said Sean Fulton, Vice President of Technology at ONEcount. Since the inception of ONEcount’s Customer Data Platform (CDP) a robust tool-kit of capabilities has been included. ONEcount continues to provide clients with innovative solutions to reduce the size—and cost—of MarTech stacks. As a CDP, ONEcount’s core function is to integrate data from across the organization’s ecosystem and use that data to identify users and target relevant content or ads. Once a user is identified, a digital signature is taken of their device and browser. This allows marketers to create segments to deploy targeted actions to users based on their behavior and/or first-party demographics. If a segment of user’s has abandoned a form, or has not viewed the form an e-mail, popup or interstitial can be deployed. To learn more about how ONEcount’s easy-to-use Form Builder and how it empowers marketers to drive leads and conversions while saving web development resources, contact Joanne Persico, President at joanne@ONE-count.com, or by phone at 203-665-6211 ext. 203. ONEcount is a customer data platform (CDP) coupled with DMP capabilities specifically designed for media companies. Leveraging a mature history of identity resolution, data consolidation and advanced identification and targeting tools, ONEcount delivers a simple-to-manage ecosystem while streamlining the tech stack. It’s real-time dashboards, secure advertiser data feeds, IVT mitigator, integration with leading ESPs, banner platforms, social sign-on abilities, and a host of other tools are built-in to drive cross-sell and upsell initiatives, increase conversions and decrease waste to grow incremental sales and revenue. This entry was posted in News and tagged form builder, form conversion, forms, landing page, landing page optimization, lead generation, press release. Bookmark the permalink.